I love setting goals and making New Year’s resolutions. I don’t necessarily wait for a new year to make changes (unless it’s December and the change is improving my eating. Haha! ), but there is something about a blank slate that energizes and fills me with optimism. Unfortunately, my goals rarely go as planned. I’m usually lucky to make it to the end of January before all my grand plans have fallen by the wayside, and by the time the year is over very little has been accomplished. That’s demoralizing, but it doesn’t stop me from thinking the next year will be different! After doing this year after year after year, I’m determined to make this year different, but instead of just thinking, “I’m going to try harder and do better,” I’m changing the way I manage my goals. This year, I’m creating smart goals in an ultimate effort to form better habits. There are multiple definitions of smart goals floating around, but the main idea is to create a detailed plan on how the goals will be achieved. Instead of simply saying, “I want to lose weight,” I’m going to break my goals into Specific, Measureable, Attainable, Realistic, and Time-bound steps. Measureable: how much and how many are questions that can help us determined how we’ll measure our success. How will we know when a goal is accomplished? Attainable (or Action steps): We’ll break our goal down into bite-sized pieces that can be taken one at a time. These are the steps we’ll take to reach the goal. Realistic: We should set goals that are realistic, but still somewhat scary and challenging. We need to find a balance between pushing ourselves beyond where we are so we can grow, but not setting goals so large that they’re simply not attainable. Time-bound: Our goals must have an end date. Deadlines motivate us to get-going, whereas an open-ended goal can always be worked towards tomorrow (which rarely ever comes). Another important part of setting successful goals is to focus on what we can actually control. We can’t necessarily control exactly when we lose weight, but we can choose to take the right steps to get there. We can’t just say, “I want to lose weight” and immediately have pounds fall off (unfortunately! ), but we can choose to eat good food and to exercise so those are things we’ll focus on when creating our action steps. 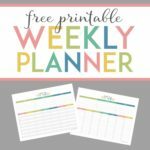 I created a couple of free printables that coordinate with the This Organized Life planner (which has even more goal planning printables!) to help us set and achieve our smart goals. To see the This Organized Life binder tour click here. The smart goals printable can be used to track overall progress, and the monthly printable that can be used for the smaller action steps you’ll be taking in each specific month. I’ve also included squares that can be checked off for each day that a goal is achieved, and there’s also a monthly check-in where you can record what was successful, what wasn’t, and what you’ll do differently the following month. To get your own copies (and access to my entire library of free printables! ), just subscribe in the box at the end of this post. The file will automatically download when you press the box to confirm your subscription. Just fyi: each month has 31 days to check off for ease of design and so I didn’t have to recreate February for leap and non-leap years. Just cross out any days that don’t apply to that month in particular or give yourself bonus check marks! As usual, I have a lot of goals for this coming year, and I do fear I’m being a little too ambitious, but I think by changing my all-or-nothing mindset and breaking these goals into small, daily steps, I’ll be able to achieve them. SMART goal: Have at least 1 movie night a month with fun (healthy!) snacks. 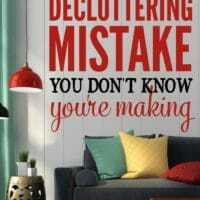 I want to declutter, decorate (and maybe even renovate) most of my house. I’m exhausted even thinking about that! 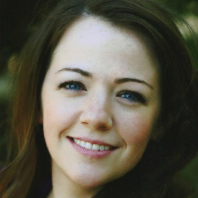 In early 2015, I started the Declutterathon, and for a while I was on a roll… until I wasn’t. I was trying to do impressive, complete room makeovers for my blog in only a week’s time. Add in all of the time required to write posts, edit pictures, and just do all the work, and I quickly wore myself out. I did nine weeks worth of Declutterathon posts before I couldn’t keep up anymore. Life also threw us a few curve balls (like my father-in-law dying, two miscarriages, and my mother-in-law being diagnosed with Alzheimer’s and moving in with us). It all became too much to keep up with, and I was disappointed because I felt like I let everyone down. This year, I’ll be continuing the Declutterathon, but at a pace I can handle. 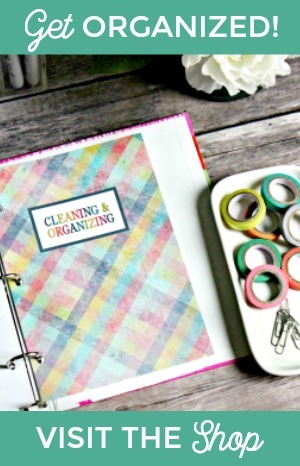 SMART goal: I will focus on decluttering or redecorating one room every two weeks. I will work on that room for at least 15 minutes each day. SMART goal: I will maintain other areas of the home every day by keeping the sink empty, folding and putting away one load of laundry every day, and putting things back where they belong. “Lose weight” has been on my New Year’s resolution list for about six years now, and almost every single year I’ve gained weight. The phrases, “Our diet starts tomorrow” and “This is the last time we’re eating out” are now jokes around our house. My kids laugh every time I say them, but I can’t really blame them. They’ve heard them a lot, and things rarely ever change. This year, I’m just focusing on each day and the choices I can control in the moment. I have a lot of weight to lose… about 70-80 pounds! Thinking of that amount in its entirety makes me want to dive into a box of donuts and cry myself to sleep. It feels so insurmountable that I’m just like, “What’s the point? !” but that’s what I’ve been doing for six years now, and look where it’s gotten me. I’m 33, extremely overweight, insulin resistant (which my doctor said is probably why I keep having miscarriages), and inching closer and closer to developing type 2 diabetes. I’m uncomfortable in my clothes, feel sick and/or tired most of the time, and depressed. I’ve hit rock bottom, to say the least, and I’m ready to make serious changes. At a friend’s suggestion, I’ve decided to give Beachbody a try, and a new 60 day challenge group starts today, which means so do my regular workouts. I know making small changes to my day will eventually get me where I want to be. SMART goals: I will cook and eat at home at least six days each week, and drink 1 Shakeology drink each day (probably for breakfast). When eating out, I will choose healthy foods I could’ve cooked at home. I will work out for at least 30 minutes four times each week, and will use the cups from the 21 Day Fix program to measure my portions. I will know that I’ve achieved my goal as I’m able to check off each day as I track my progress on my monthly printables and ultimately when: I’ve lost 70-80 pounds, feel better physically, am finally out of maternity clothes (I haven’t been pregnant in almost 3 years!! ), and when I’m no longer so self-conscious that I basically just want to sit around the house or wear large sweaters all of the time… including on the beach in the middle of summer <— depressing but true. When I started this blog 3 years ago (almost to the day! ), I had no idea what I was doing, and that’s not me being humble. I truly had no idea! The last three years have been a wonderful mix of a lot of hard work, frustration, confusion, learning, and fun, and I can’t wait to see what 2016 brings. 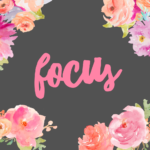 I have big goals for this little blog and lots of things I’d love to accomplish, but I definitely need to come up with a plan to get these things done. Many of them have been on my to do list for a long, long time, and if I don’t start forcing myself to chip away at them daily it will be a few more years before anything’s actually accomplished. 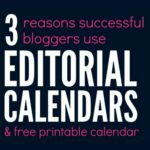 SMART goals: I will create and stick to my editorial calendar, posting at least three times every week. I will create “office hours” and only work at those times so my work doesn’t eat up the entire day, and I will schedule specific times to work on the larger projects I want to accomplish. That’s about 8 1/2 hours worth of work, which really is manageable. I’ll be working up and sharing an exact schedule soon, but since this post is already 1600+ words long (!!! ), I’ll leave that to another day. I’m impressed you’ve even made it this far because this was a monster of a post! I’d love to know what goals are you working on right now. Are you starting on new goals, improving old ones, or carrying things over from the last year (or 6!) like I am? Subscribe to get your Smart goals worksheets in your inbox now! Success! Please check your email to confirm your subscription and download your free printables. Thank you for sharing Emily. It sounds like 2015 was a tough year for you and I pray 2016 is much better. We have been in a similar boat and biting off more than you can chew redecorating and blogging it something I completely understand as well as the miscarriages (4 in 2013). It is hard to come through and pick up on the other side. Bless you for pressing on and sharing your goals. I shared mine on my blog last week and was told more than once that I seemed a bit overly “ambitious”. 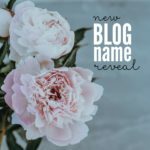 A few of our blog goals included posting daily on my main blog, biweekly on my chronic illness blog, host a weekly link up on each and reach a specific number of followers the end of the year. We want to save $10,000 on a single income while paying cash for two new solid wood floors and installation and pay for the recent influx of medical bills from testing. I plan on blogging weekly about the ways we saved and earned each week and share monthly our progress. Once again, thank you for sharing I love following your blog and the support you offer through the declutterathon group. Thank you, Tina. I’m so sorry to hear about your miscarriages and health issues. I’ve had three total now, but 2 in one year was enough for me. I’m not sure I could’ve made it through 4. 🙁 I’m running over to your blog to check it out now. You have a lot on your plate, just taking care of family. Take care of yourself, girl! If you can daily do the things on your list that encourage YOU, you will do well. I enjoy your openness & will pray for you, your health, your family. I know from experience that “stuff” that goes undone can drag you down. I applaud your desire & efforts. I’m working on getting rid of stuff that drags me down. Too much “stuff”. Focus on you & your family. These years do go by faster than you think. I am so happy I found your blog! 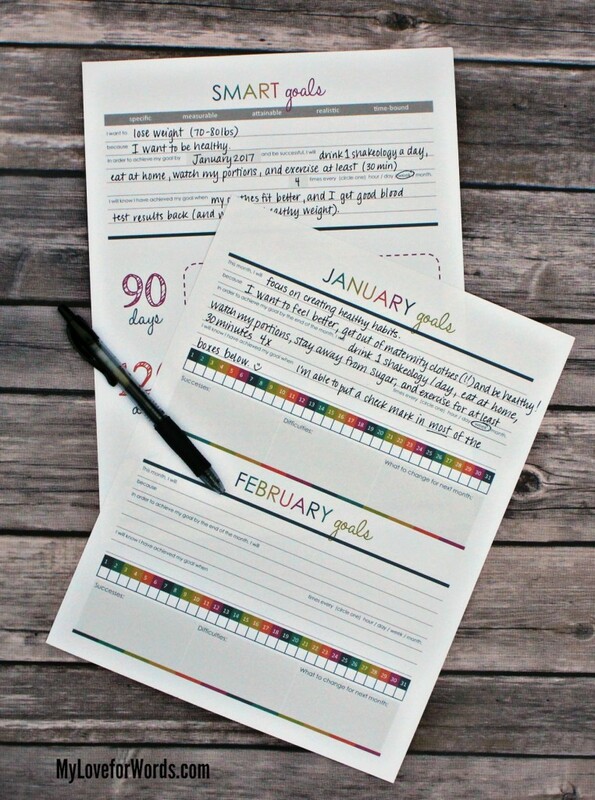 I love these printables and the way you set up your goals. Thanks for sharing! I really loved reading your post and hope that you have a great 2016. I’m so impressed by your strength to get through all of those personal hardships and keep going with your blog. Reading through this post has really motivated me to organize myself and establish goals. I love your goals! They are similar to a lot of mine!! Good luck on your journey ???? Oh my! 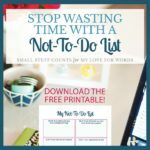 This is the best SMART goal setting printable and advise I have ever seen! I’ve tried making my own sheets but failed miserably…Thank you SO much for these! Now, to get motivated! Thank you, Cindy! I hope it helps you with your goals. Good luck! Hello- I tried subscribing but I haven’t received the printables. I checked my junk mail just in case and it isn’t there either. Hi Kirsten, according to my email provider you are subscribed and a confirmation email may have been sent, but it’s a little unclear. If you could try subscribing again that would be great. Worst case scenario, I can always send you the printable directly later today. I hope resubscribing works so you don’t have to wait. Thanks so much for letting me know. Do you write one goal per page so you have a family page, a fitness page and so on? I usually write one goal per page, and I try not to make too many big changes at once otherwise I end up overwhelmed and not making any progress. I hope that helps! I do have other printables like this one for tracking daily progress of multiple goals at once. I subscribed…I appreciate these printables. 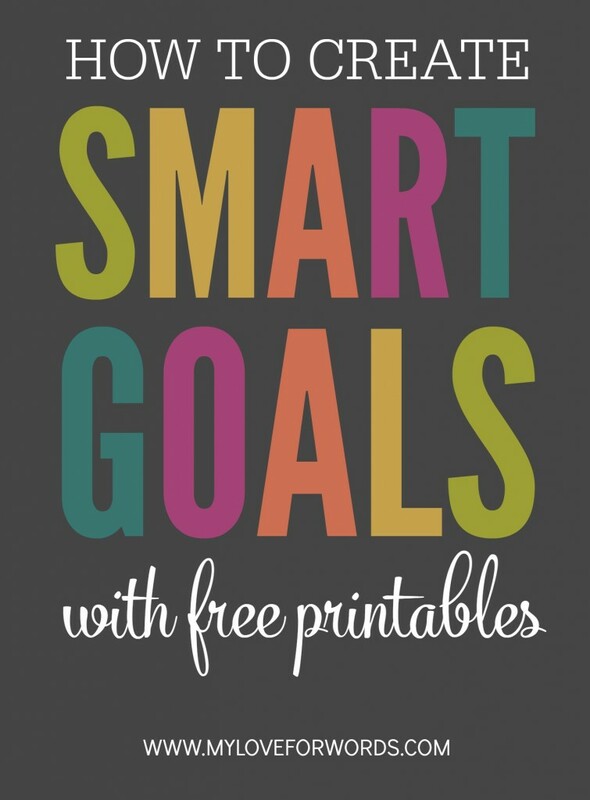 However, this “smart goals” one is the one I was most interested in and it is the ONE that does not print. Instead of going to dropbox, the link takes you back here to the blog post. Thank you so much for these goal templates! My professors were big fans of SMART goals, and being very specific! They’re also very important to me as a teacher in creating goals for my lessons. I’m looking forward to using them this year in my personal life as I’m getting married this summer and my fiancé and I are starting a new life together! 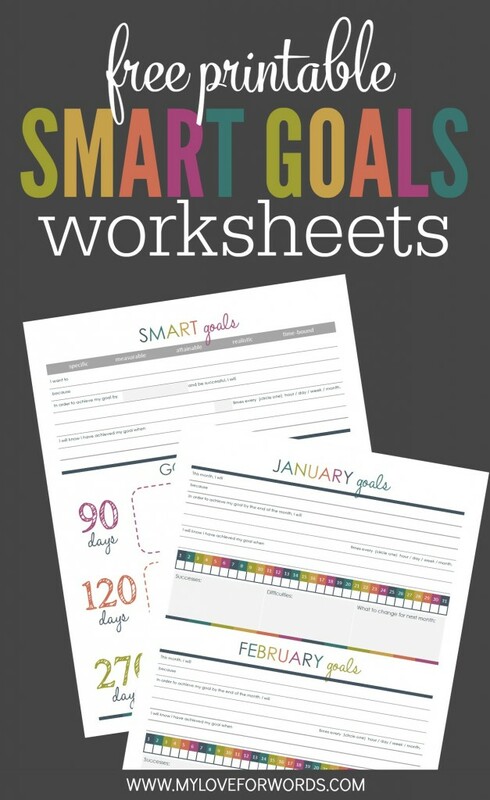 I can’t find the link to print the smart goals worksheet. Love your printables, thank you!!! 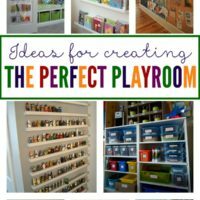 I’ve subscribed, and have also clicked on the link (which took me to this post) for the printables. However, they don’t work. Is there any way I could get them emailed to me, or am I doing this wrong? One of the things I’ve realized lately is that I’m horrible at setting goals! I’ll mentally set them, but then I forget about them very, very quickly.. Thank you so much, Emily, for this post. I came here interested in getting a free printout, but I go touched by your honest, transparent words. It’s been two years since this post. I wonder how you are doing. Maybe I should check your latest entry to find out. Still, I pray for you. I love this SMART goals worksheet! Such a great design. I’d really like to download it but I can’t figure out how to do it. I subscribed and got the declutterathon workbook (thanks!) but no sign in details to find the SMART goals worksheet on your site. Thanks for your help. Thanks Kendell!! I just redesigned the site so I’m still updated the printables area, but I’ve emailed the printables to you so you don’t have to wait. 🙂 Good luck with your goals!! Can I get these goals worksheets? I can’t find a link. Hi Kylie, Sure! There’s in my free printable library for newsletter subscribers. Have you subscribed to the newsletter yet? Thank you for the helpful and beautiful content! I can’t wait to get started working with these printables, unfortunately I cannot get them downloaded 🙁 I have subscribed, and confirmed, please let me know what I am doing wrong! 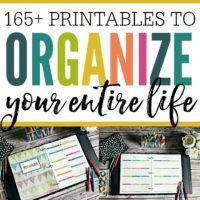 hi i am having a hard time downloading the goals and planner free printable not sure what to do. thank you! I subscribed in order to get free printables, but i was redirected to the offer to buy non-free printables and did not get any free printables as promised. What shall I do? Hi Aina, at the top of the “special offer” page it says the link to the free printables will be emailed to you. If you haven’t seen that email, my guess is it’s probably in your trash, junk, or “promotions” (if you’re using gmail) folder. Inside the welcome email, you’ll find a link to the free printable library and a password giving you access. If I can help with anything else, just let me know. Thanks!